LANSING, Mich. — Sen. Ruth Johnson, Gov. Gretchen Whitmer and other female legislators came together at the Capitol on Thursday to promote the American Heart Association’s “Go Red for Women” initiative. 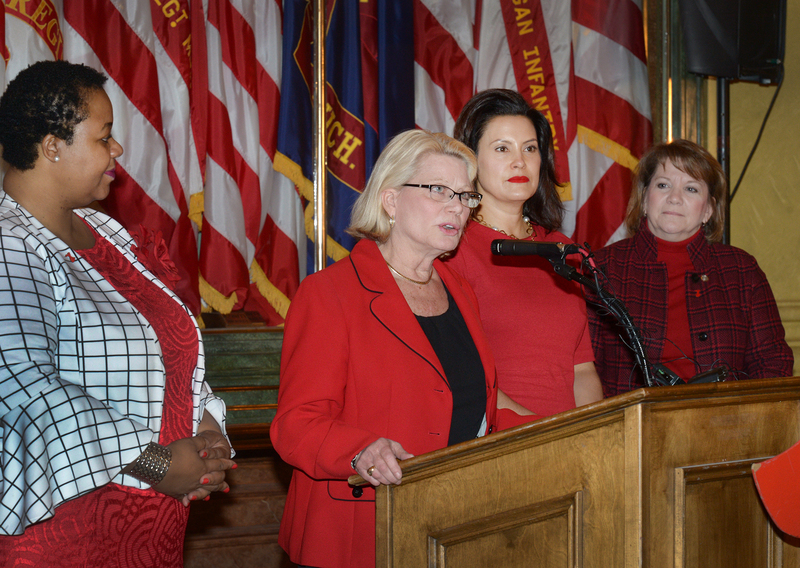 In addition to participating in a ceremony with the governor to promote awareness, Johnson sponsored Senate Resolution 10, which proclaims February 2019 as American Heart Month in Michigan and Feb. 1 as Go Red for Women Day. Among the cosponsors for Johnson’s resolution were Sens. Lana Theis, R-Brighton, and Kim LaSata, R-Bainbridge Township. For more information, visit GoRedForWomen.org or call 1-888-MY-HEART (1-888-694-3278). 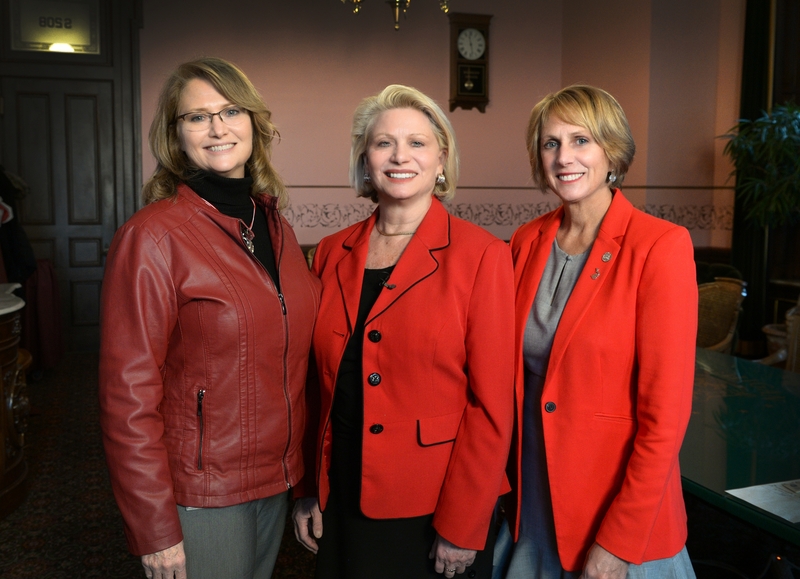 Editor’s note: For National Go Red Day on Feb. 1, Johnson, Theis and LaSata put together a video encouraging people to Go Red. It can be viewed by clicking here or at www.SenatorRuthJohnson.com/video. The above photographs are available by clicking on the images or by visiting www.SenatorRuthJohnson.com/photos.